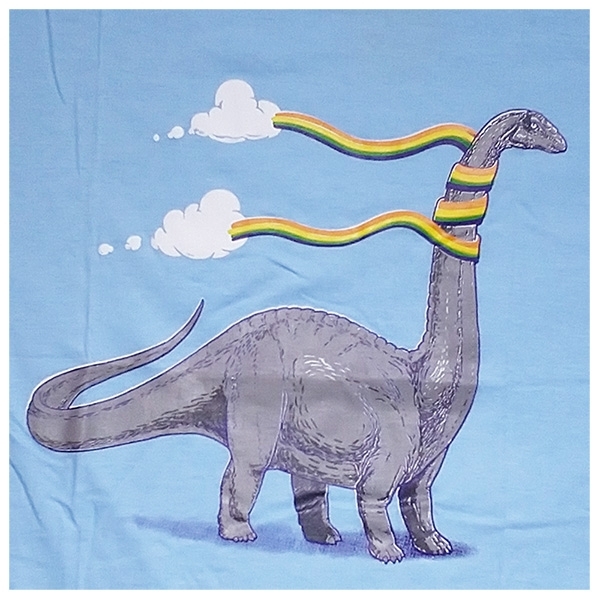 This is too cute: A brontosaurus dinosaur must have walke into a rainbow which entangled around his long neck! Multi-color print on a light blue T-shirt. 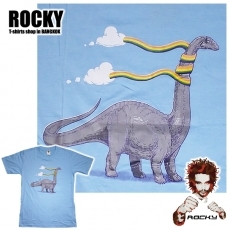 Rocky Shirts - poetic, smart, original, funny! 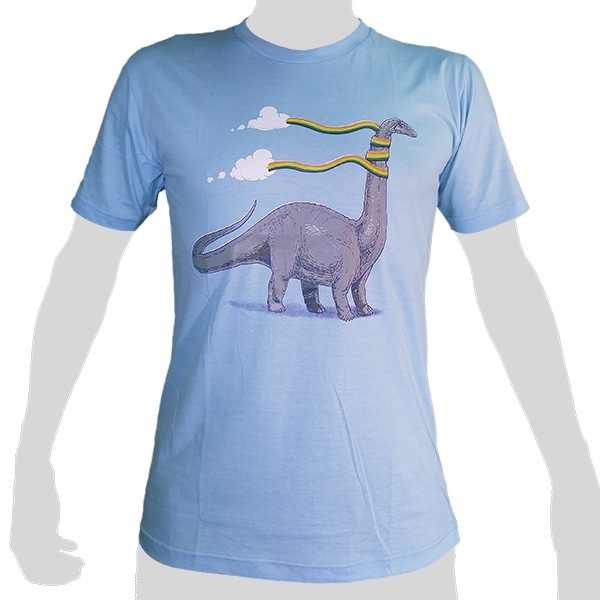 Rocky shirts are of good Quality and made of 100% cotton, non-chlorine bleach and fit for washing machine (cold). The print on the front is of good quality, too. It doesn't wash out or come off even after years and it is not too palpable or stiff. 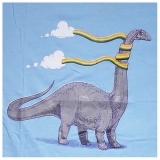 Caution: Do only wash cold with washing machine and do not use electric dryers! 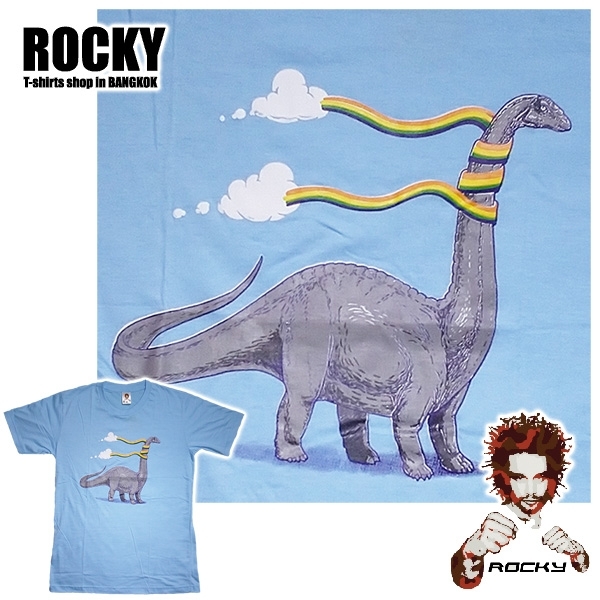 With a minimum item number of only 7 shirts in total, we can order any out of over 500 different Rocky-Motifs (in any color ansize) from Bangkok extra for you. Please have a look at the Motif-Catalog by Rocky. Rocky is a Thai brandname. We only sell Original Rocky Shirts! Super freundlich und schneller Service. Qualität auch sehr gut.Bin sehr zufrieden!